Helping children with feelings of anxiety is a part of parenthood and childhood. We hug them in the dark and when they hear scary noises. We hold their hand as we go to new places and while meeting new people. We talk with them about their fears and worries and even show our children there are no monsters in the closet from time to time. Starting school can bring up some worries within our children. Some worries are about if they will make friends, will they get lost, will the teacher be nice and like them or even will it be too difficult. Wemberly Worried by Kevin Henkes is a great book to read to children to help them with their feelings of anxiety about the world around them and starting school. 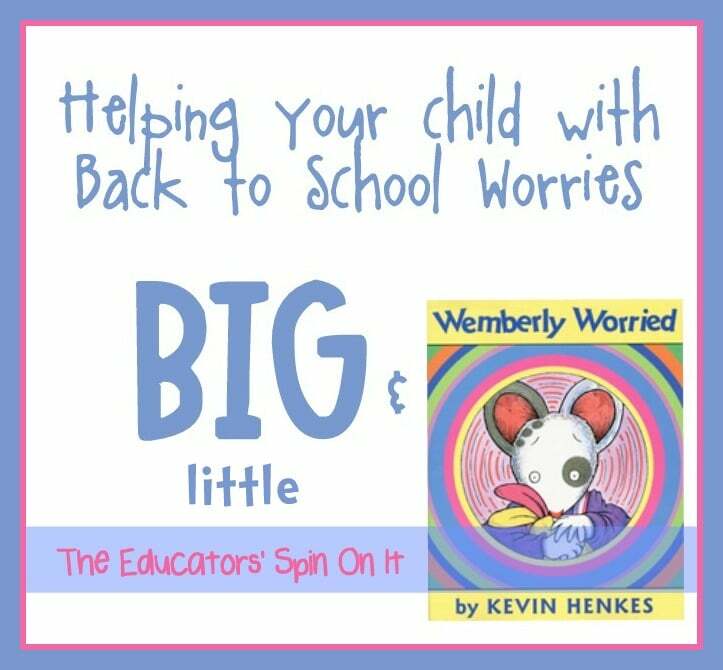 In the story Wemberly worries about big things and little things and her parents are concerned she worries too much. I love how it addresses some common worries of children so that they can relate to her and know that they are not alone in their worries. One of her biggest worries is about starting school. At the end, she finds that she’s not the only one who worries through a special friend who somehow makes things a little less worrisome. Identify your child’s worries with them. Are they big worries or little worries? 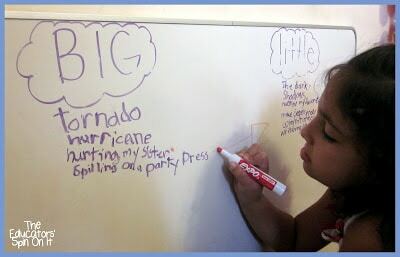 We used a board to write down and discuss our worries. You could easily use a sheet of paper too. As we wrote down our worries we put them under Big Worries or Little Worries. Sometimes it helps them to be able to sort out what we should really worry about because it’s dangerous or something that just might happen but it’s not a big deal. As you talk about your child’s concern about School or anything for that matter encourage them to categorize these concerns with you. It’s a difficult thing for smaller children to do, just think of how intensely you may have felt when you thought a shadow was a “real monster”. But the more you talk about when it’s not really happening the more they will begin to understand. Have them relocate those worries if they’ve placed them in the incorrect category. Some terms to use as you discuss these worries are the likelihood of them happening. Once you’ve identified some true concerns that just might happen it’s time to talk about them and come up with strategies for them. Truthfully it just might happen…. so make a plan. Having them come with you to give the food service money might assure them that there is money there waiting for them just in case they leave their lunchbox at home. We hope that this never happens to any child but know that it is a big concern and rightly so. Come up with strategies for your child to make new friends. I encouraged my daughter to just remember only 3 names the first day of school. It can be overwhelming to meet so many people at once. The next day I asked her to remember who she sat by at lunch or who she stood by in the line. Encouraging them to make those connections will help with forming friendships. I think it’s human nature to want to know things all the time but encouraging your child to ask questions and know that they are there to learn new things will help with this one. Also encouraging them to speak up and raise their hands when they don’t understand. A teacher is there to help you learn and understand is a great phrase to teach your child. This is one of those things that you just never know how your child will react until they are there at school. You can guess from experience in the past with child care providers but I know as a Mom of a crying child the first day of Kindergarten I never saw that coming since he had done so well at preschool the year before. Literally the teacher had to pry my son off of me so that I could go to teach my classroom for my first day of school too. Create a heart for them to carry in their pocket or backpack.Curly Birds has a great tutorial on how to create them. Create First Day of Magic School Dust, we have a printable just for you with ideas. Read lots of books about school. Here’s our list of favorite Back to School Books. Read Kevin Henkes collection of Mouse books they address so many social issues that children go through in school. 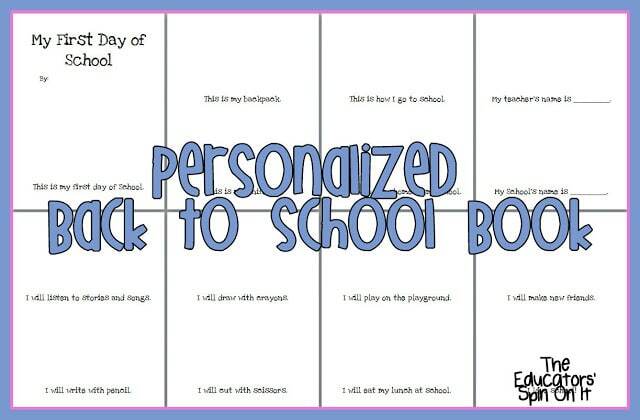 Create your own Back to School Book. We’ve created a printable for you. 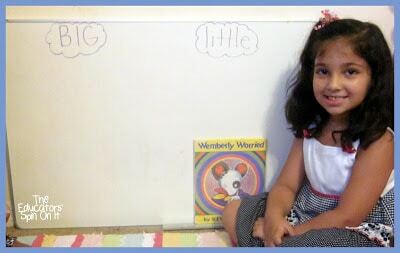 You can sit with your child and personalize their own book about school to talk about some concerns they may have and to also discuss the rules and procedures at school. 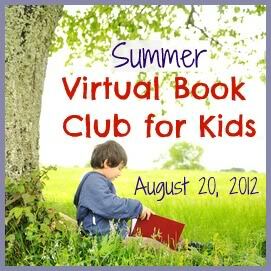 Read Llama Llama Misses Mama on We Give Books, it’s even online! 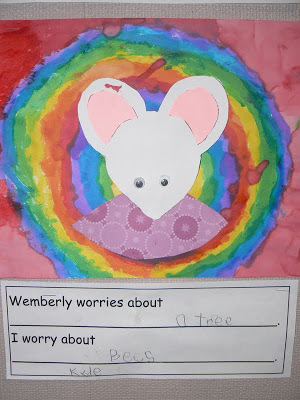 Create your own Wemberly Worried inspired by Mrs. T’s First Grade, she’s included tons of printable activity ideas too! 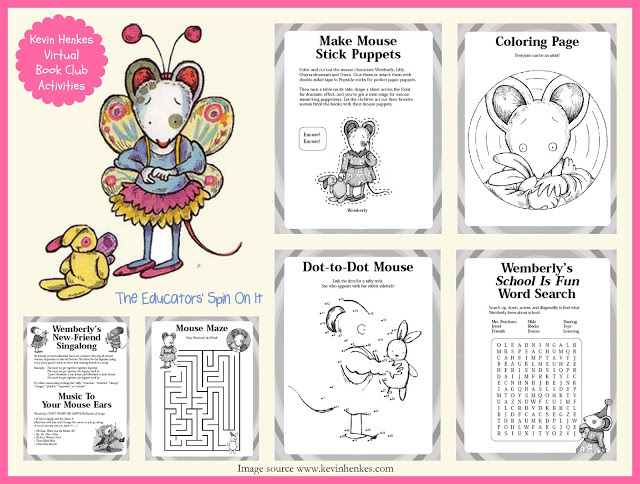 Follow our School Pinterest Board for more Resources for Back to School. Role Play with Finger Puppets some of the worries your child may have and some of the words that can use in those situations. Download Kevin Henkes Wemberly Activity Guide. 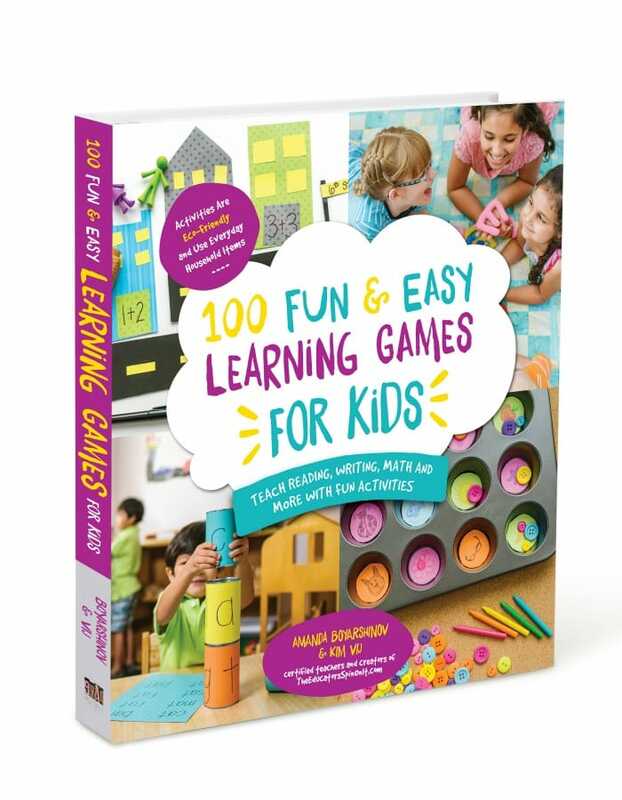 Includes a Maze, Dot to Dot, Coloring Page, Finger Puppets, Word Search, Songs and MORE! If you haven’t read the story here is an online version. We wish you the best of luck as your child begins school. Even if it’s their second or third year of school don’t forget sometimes their worries might even get more intense as they have memories of year’s prior. Communicate with your child and communicate with your child’s teacher to create the best environment for your child. I think we all have a little Wemberly in all of us! Who knows they just might want to make Wemberly’s Ice Cream Star next! 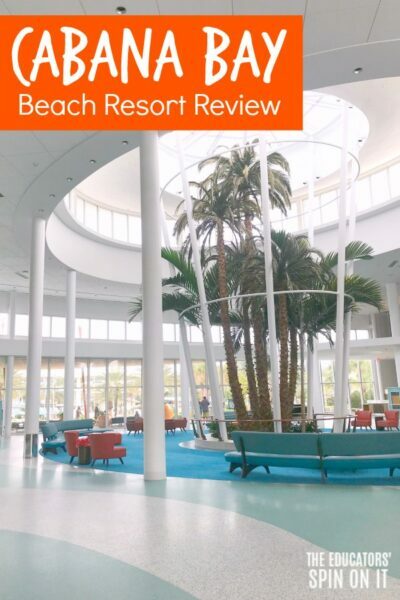 Now that we’ve shared our activities with you, we’re excited to see what you came up with! Please add your links to any Kevin Henkes inspired posts to the blog hop linky below. 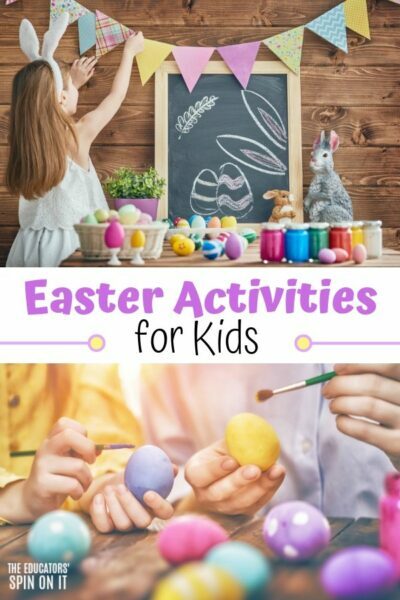 Link up only posts inspired by Kevin Henkes that share children’s book inspired crafts, activities, recipes, etc. Any other posts will be deleted. 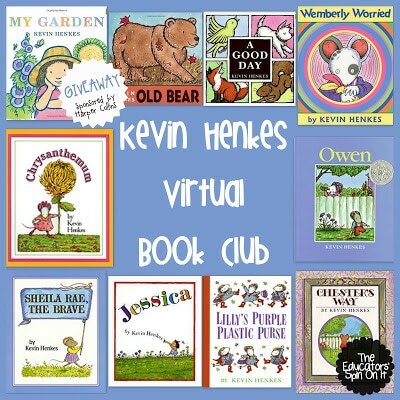 Check out all these Great Resources for Kevin Henkes book and create your own Book Club with your child. We’d love to hear from you to see how it turned out. You can share on our facebook page or email us! 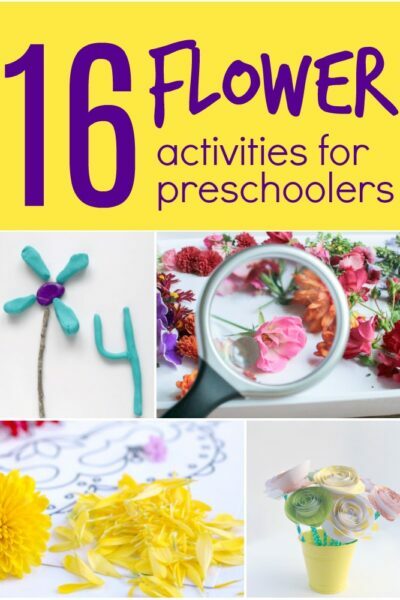 « 20 Picture Books and Activities for Hours of Fun! I'll definitely have to remember this Kevin Henkes book for when my sons start school. I love all the great suggestions for helping kids get over their worries and how you suggest really talking through their feelings with them. Also, thanks for popping by my Little White Rabbit post – a white rabbit hunt is a great idea. We actually have white-tailed rabbits in our yard sometimes, so we're often do a big search for real rabbits too. Hello, I'm visiting from SITS' Saturday Sharefest. I'm so glad your's happens to be the comment in front of mine. Although I'm not an educator (oh, how I wish that was the career path I had chosen), I try to parent with a purpose and I can't wait to get more ideas! Have a great weekend! I like the way you help children understand the difference between likely worries and not likely worries. We do it too, but not as structured. 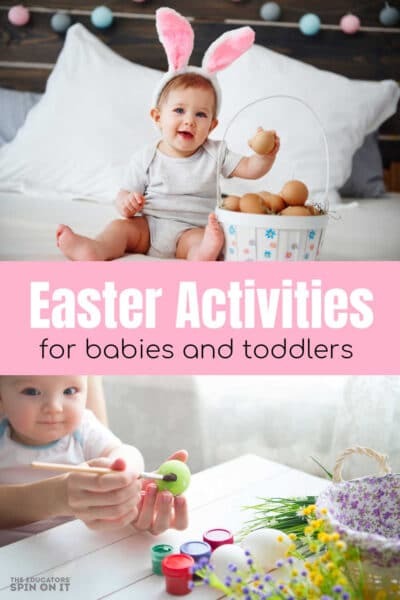 Great activities for a wonderful book! That's so neat to have a real rabbit in your yard, all we have are squirrels. Thanks for your kind words and yes this is a great book to remember for getting ready for school. Thanks Madge for stopping by! 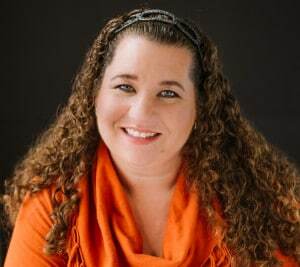 I'm already loving your site and all they yummy recipes now that you've shared your site! 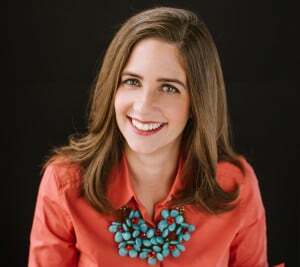 I hope you find more ideas on our site for Parenting with Purpose! Thanks… I think it's important to walk children through these emotions and help them sort them out. I wish I had known about this book and read this post half a dozen years ago. I could have used the ideas you shared with a little person I knew. I'm going to pin this on my Parent Share board, I hope they can help other parents with their children's worries. Thanks for sharing these ideas.